Brazil - Will WhatsApp Decide Presidential Election Result? With former President Lula da Silva normally out of the race (although a Supreme Court judge could still overturn the decision to bar him from participating), a second-round place for Catholic conservative candidate Mr Jair Bolsonaro looks all but certain. Left-wing voting Brazilians now will have to decide whether they put their trust with Mr da Silva’s chosen successor, Mr Haddad, or go with one of the other candidates, which will further disperse the votes of Mr Bolsonaro’s rivals. Also important is the distribution of news surrounding the election. As fewer and fewer Brazilians trust the ‘fake news’ media which is heavily influenced by the Workers’ Party (in power for the past two decades) social media has become an essential news source. 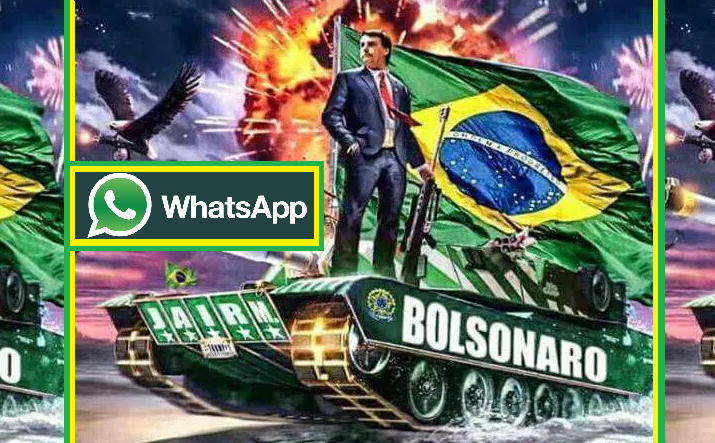 Knowing that Facebook has ‘cleaned up’ Bolsonaro supporters (see our related coverage), most messaging about the elections (certainly if you want to reach poorer Brazilians) is done via WhatsApp, which is less controllable as the messages are encrypted (the fact that WhatsApp is owned by Facebook is quite ironic in this matter). WhatsApp is essential for Brazil's poorer classes because it works on simple, cheap phones and many mobile phone plans in Latin America allow people to use it for free,. Its reach is, therefore, greater and voters who don’t have internet will certainly have a phone. The Bolsonaro campaign understands this very well, and therefore the need for social media messaging to get their election promises out has been of the utmost importance for the mostly younger supporters of the right-wing candidate currently leading the polls. However, seeing its success in India, WhatsApp realizes it’s important in the Brazilian elections as well and it, therefore, planning an ad campaign ahead of the October vote, urging users to check messages that seem unbelievable and to think twice before sharing them. Mr Carl Woog, a company spokesman, said: "We think that reducing virality of forwarded content can help users by keeping WhatsApp the way it was designed to be, a private messaging app." Lastly, as to Mr da Silva’s candidacy, the success of the court appeal for his Workers’ Party will depend on which judge hears the case. Mr Ricardo Ribeiro, a political analyst at MCM Consultores admitted that: "If it goes to Supreme Court Justice Ricardo Lewandowski, there is a chance that he will grant an injunction in favour of Lula's candidacy." The votes that would be going to Lula are more likely to end up with Marina Silva and, ironically, with Jair Bolsonaro. The other parties are heavily trying to induce women to hate Bolsonaro by spreading lies, so he gets rejection and is unable to win the Second Round. Actually, for now, only Marina seems to be able to beat Bolsonaro in the Second Round, Geraldo Alckmin's rejection is way bigger than the other candidates' and no one outside of São Paulo, for now, wants to vote him. But Alckmin's party, PSDB, has the most time of mandatory our radio and television electoral time for his campaign. It may change the results a little bit. They have a minimum of 10 minutes on TV everyday, while Bolsonaro's party has only 16 seconds, divided on two parts of 8 seconds. PMDB (now "MDB"), president's Temer party, is secretly allied to PSDB and has got a lot of time on TV and radio too. Their candidate is terrible and has no chance of winning at all. They can't tell people they are allied due to Temer's low popularity, so they will probably use their time to undermine Bolsonaro. The votes that'd go from Lula to Bolsonaro would be from poor but conservative people in the Northeast. One thing you guys maybe are getting wrong is saying he's a "Catholic conservative". Yes, he's Catholic and, yes, a conservative, but his alignment is not with Catholic conservatism, it just overlaps. Actually, he's divorced and, while remaining Catholic, he remarried in a neopentecostal church. Neopentecostalism dominates our congress in the conservative area, that's why he has so many (neo)pentecostal friends and voters. The Catholic Church ended up being way too omissive in politics in our country, as well in the rest of the World, I suppose. At same time, he flirts with neoconservatives in USA (while I'm not sure if he should be called neoconservative, since this is Brazil and his conservative spectrum is way wider, so it's a small detail). At same time, he uses an old Integralist (and, therefore, Catholic) motto that is "Deus, Pátria e Família" (God, Fatherland and Family), that could be read as "Christ, Family and Brazil" as well. So, if one is to tell Bolsonaro's political orientation, it would be more precise to say he's a Christian conservative. Or "Christian conservative and Catholic" if it doesn't sound way too redundant. Also, he's very economically liberal and, to a limited amount, libertarian, putting him, socio-economically, as a classical American conservative, I guess. He's the perfect candidate against our leftist and subversive cultural, political and bureaucratic establishment. Another thing it's important to point out is all of Bolsonaro's adversaries with chances to win are globalist social-democrats. President Temer is from a centrist party (PMDB), but he's also governing like a social-democrat in a social-democrat coalition. PT, our Worker's Party, Lula's party, has also took a social-democrat direction (but more populist and Bolivarian and *ahem* red) as soon as he took power. But that could be guessed in the 90s elections by the alliances they did. PSDB, PT, PMDB and now Rede (Marina's party, a "green" social-democrat, being called "green PT") are the same crap. The same social-democrat globalist crap. So we know what kind of trouble awaits Brazil if things keep the same.